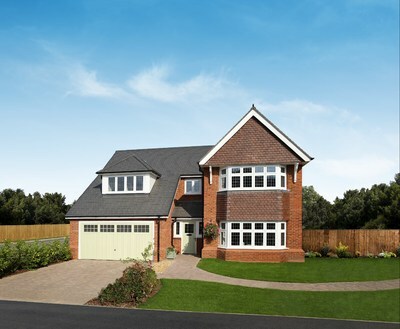 Located on Tixall Road, on the edge of Stafford, Church View and Priory Park offer a good choice of three, four and five-bedroom designs from the ever-popular Heritage Collection. Combining traditional architecture, with the style and convenience that comes with owning a brand new home, they’re the perfect solution for those who want a characterful property that’s easy to manage and efficient to run. The low maintenance way of life could even start before moving day as Redrow is offering to help sellers become buyers quickly and simply with its Mastermove service. Pauline Turnbull, sales director for Redrow Homes (Midlands), said: “The Heritage Collection designs are much sought-after as they combine the best of old and new. High ceilings and tall doors help emphasise the sense of space, while kitchens are stylish and practical and bathrooms boast quality fixtures and fittings. In short a Redrow home offers a better way to live and with our Mastermove service we’re offering a better way to move. “We will arrange valuations of the customer’s existing property, appoint an estate agent and take care of all the paperwork. We’ll monitor progress closely, liaise with the agent until the property is sold and, most importantly for our customers, pay towards the selling fees to save them money too. Prices at Church View and Priory Park start from £249,995 for a three-bedroom semi-detached Ludlow up to £449,995 for a five-bedroom detached Marlborough. The homes enjoy a rural location in the historic county town, close to the calming canalside and near lovely open spaces; yet neighbouring a host of attractions and leisure activities from theatres to cinemas and sports centres. The show homes and sales centres at Church View and Priory Park are open Thursday to Tuesday inclusive from 10am to 5.30pm. For details of Church View see redrow.co.uk/church. To find out more about Priory Park see redrow.co.uk/priorypark.